How are movements and rhythms organized into a cohesive solo? What makes some phrases more compelling than others? Learn the answers to these questions and more as you arrange a solo for the compelling, "110" structure. In the first 7 weeks, participants learn new copyleft moves and how to use already-known phrases to arrange a draft solo. With battle-tested strategies, it's easier than you think! Then a 4-week practice period guides students through refining and practicing the solo in context, with extensive user-specific drilling to tackle remaining insecurities. 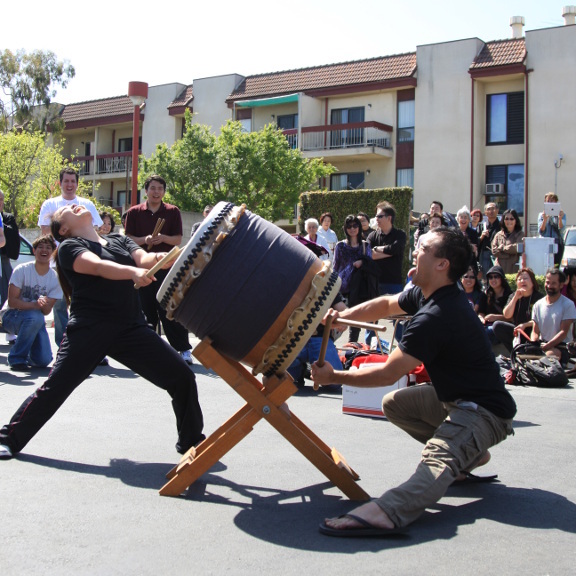 The course is completed in time for the Intercollegiate Taiko Invitational and Taiko Conference battles. Slant soloing is a high bar... let us help you reach it! The course requires the Naname Essentials LATIdama prerequisite. Contact us to learn how to earn this LATIdama at home, or make an appointment to take the evaluation at LATI.